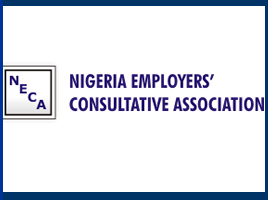 The Nigeria Employers’ Consultative Association (NECA), on Wednesday unveiled an on-line platform, NECApreneur project, for the training of youths on entrepreneurial skills to check unemployment. Mr Olusegun Oshinowo, Director-General of NECA, who spoke about the project at a forum in Lagos, said that it was targeted at undergraduates and unemployed youths. He said that NECA was collaborating with some groups, including Imagin Business Solution and Redwood, to provide mentorship, capital and structure for those who would participate in the NECAprenuer project. “There is need for a new approach to solve unemployment. Youths must embrace entrepreneurship.We will link them up with our rich networks to assist their ideas. “If dependable variables such as favourable policy, good governance, education, conducive environment and many others are not addressed, getting jobs will be difficult,’’ he said. According to him, unemployment is important to employers who know that if not handled properly, can pose security risk. Mr Chuma Nwankwo, Chairman, Committee on Human ResourceS, NECA, said that the nation needed entrepreneur not only to solve unemployment challenges but also for national development.